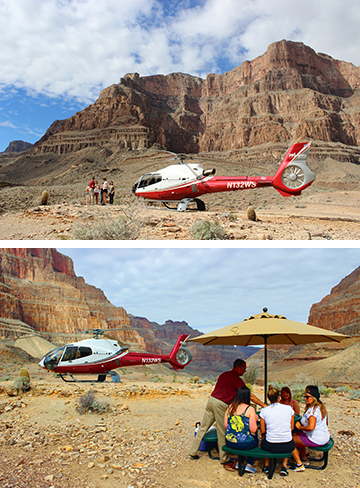 Enjoy Sunshine’s Grand Canyon Air Tour as you fly over Hoover Dam, Fortification Hill, Indian Pass and Lake Mead. 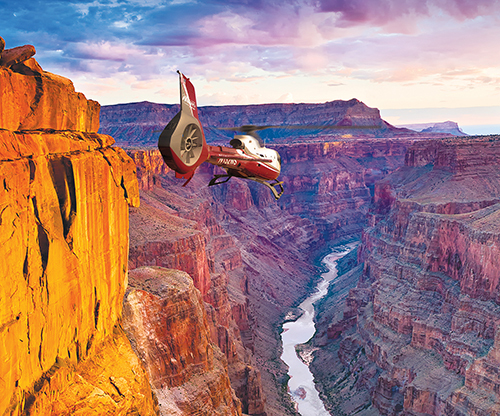 After soaring into the Grand Canyon, we will descend 4,000 feet below the Canyon Rim and land at our private landing site, overlooking the mighty Colorado River. There will be beautiful photo opportunities of the Canyon’s interior landscape, the Colorado River as well as native flora and wildlife. Continental breakfast and snacks is offered for the morning flights and a picnic snack is offered for the afternoon flights. Note: Helicopter has 4 seats in the back and 2 seats in front for guests. Open seating is determined based on weight & balance for all 6 passengers. First Class seating is guaranteed two front seats next to pilot. 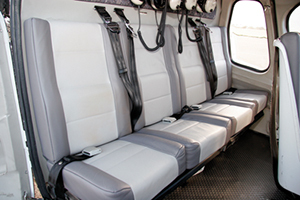 Operated by Aris Nevada Inc., dba Serenity Helicopters. Helicopter weight and balance changes with every flight because of passenger weight, pilot weight and length of flight (fuel weight). It is important that we have accurate body weight from every passenger. FAA regulations require all passengers and their carry-on items to be weighed at time of check-in. 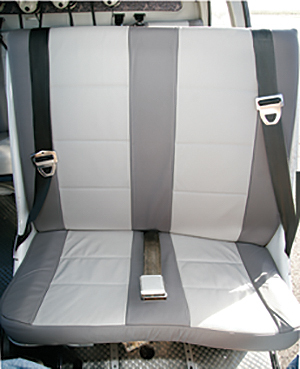 If a standard airline seat belt is too small or you weigh over 240 pounds you may be required to purchase a comfort seat on our ASTAR. Call our reservation number 866-501-7738 for more information.